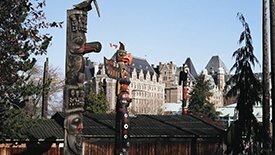 Set amidst some of the most spectacular scenery in the world, Victoria, British Columbia’s capital city, offers old world charm and the mildest climate in the country. 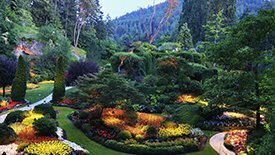 With its British heritage worn in full regalia, Victoria beckons with spectacular English gardens and parks, double decker buses, horse drawn carriages, afternoon tea, and heritage buildings. 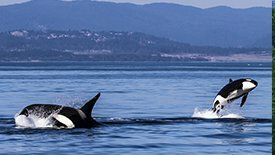 Rated one of the top 10 places to visit in the world by Condé Nast Traveler Magazine, it offers adventures from whale watching to legendary salmon fishing to spa pampering. As with any unique destination, the journey is an integral part of the experience. 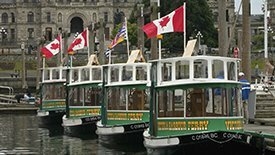 Travel to Victoria by floatplane, helicopter, by plane or travel by ferry and drink in the beauty of the Gulf Islands en route. The charm of Victoria will touch your heart.